How do I use the Whatsapp Web version on my PC or desktop computer? Find out here. There are plenty of reasons why you might want to use the Whatsapp Web service from a computer rather than from your phone. You may lose or have your phone stolen in the future and want to be able to access WhatsApp, when that happens (The phone must be turned on with internet access, however). Or, you want to be able to respond quickly to messages, when you are using your computer. Whatever, the reason, Whatsapp has now made it fairly easy to use the messenger system from a computer, as it became obvious that there is a big demand for that: Over 1 billion users are now on WhatsApp, which makes it the most popular instant messaging service on the planet. NOTE: If you have lost your phone and haven’t already set up Whatsapp Web, then it is too late. You must install Whatsapp Web with the help of your Whatsapp Phone App. 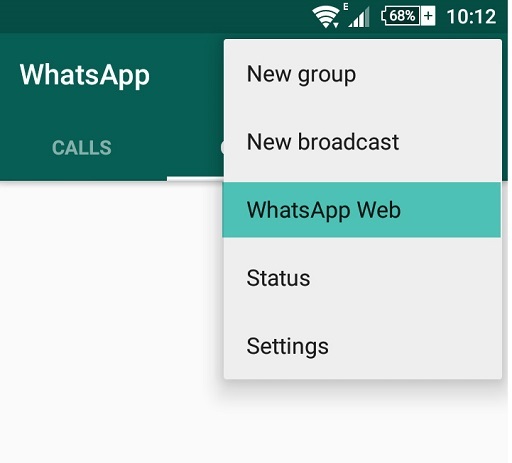 Whatsapp Web lets you connect your phone with your computer and lets you use WhatsApp in your web browser. You must have an active WhatsApp account and the app installed on your phone. You must have a stable internet connection on both your phone and your computer. You must use a newer version of Chrome, Firefox, Opera, Safari or Edge as your web browser on your computer. The WhatsApp Web design is similar to the app design, so you will get pretty much the experience as with the mobile app. How to use WhatsApp Web on your Computer. This is how you set up Whatsapp Web on your PC. 1. 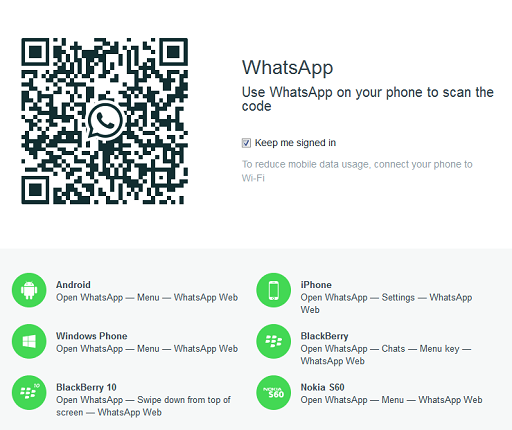 Go to WhatsApp Web on https://web.whatsapp.com and wait for a QR code to load. 2. Open the WhatsApp app on your phone. 3. Click on the 3 dots menu on the top right corner, and click on and WhatsApp Web (See the screen shot). 4. Scan the QR code from http://web.whatsapp.com with you phone. See these screenshot for more help. 1.Select WhatsApp Web from your phone menu. 2. Scan the QR code from http://web.whatsapp.com with your smartphone. The messages you send and receive are synced between your phone and your computer, and you can see all messages on both your computer and on your phone. Any action you take on the phone will apply to WhatsApp Web and vice versa. So, in essence, the Whatsapp App on your phone needs to be turned on and you need to have an active internet connection for the Whatsapp Web desktop service to work. If you turn off your phone or close the Whatsapp App, you also close down the Whatsapp Web service on your computer. So, if you traveling in another country, you won’t be able to use WhatsApp on your computer, if you phone does not have an internet connection.